I hate to give this novella anything but a five-star rating. Elie Wiesel’s memoir, Night, is an amazing read; he is an incredible person. I admire him tremendously for having the courage to write a raw account of his experiences during the Holocaust; for spearheading the building of the Holocaust Memorial Museum in Washington, DC, and for his advocacy in speaking out against intolerance, racism, and hatred. His writing has become a voice for the millions who have been silenced, and those who are still suffering. I have long admired Elie Wiesel for reaching out beyond his religious and cultural community to work towards equality for all. No, he is not without some controversy: I don’t agree with his admiration and support for Netanyahu, and some of his remarks in regards to Palestinians are definitely questionable. He’s not perfect. No one is (nope, not even President Obama). But I wholeheartedly admire the man and what he has accomplished as a whole. I did not, however, love Dawn. Dawn is the fictional story of a young Holocaust survivor, Elisha, who is recruited by the Movement – what I believe to be based upon the real-life Irgun, a Zionist paramilitary organization that operated between 1931 and 1948 – to become a freedom fighter in British-controlled Palestine. The entire novella takes place over the span of one night. Elisha is tasked with assassinating a British officer who has been kidnapped, as retribution for the capture and hanging of a fellow freedom fighter. Over the course of the night, Elisha wrestles with his conscience, God, and the ghosts of his family, over what he is tasked to do. I was beginning to understand. An act so absolute as that of killing involves not only the killer, but, as well, those who have formed him. In murdering a man I was making them murderers. My problem is that these questions are not appropriately addressed in such a small book. What is left is the feeling of justifying a person’s acts of terror by blaming the enemy. An idea in which I vehemently disagree. Wiesel may very well be making this very point in this novel: that treating an innocent person (John Dawson) the same way you (Elisha) were treated when you were powerless, is just as hideous an act as the acts of terror committed against you. But the impression the story gives leans towards the opposite. The philosophical underpinnings of Dawn deserve a longer book, but somehow, plotwise, Dawn has too much padding. Yes, I know that sounds like I am completely contradicting myself! I feel that this is a small little book that doesn’t know quite what it wants to be, and is one of the weaker works out of all that Elie Wiesel has written. 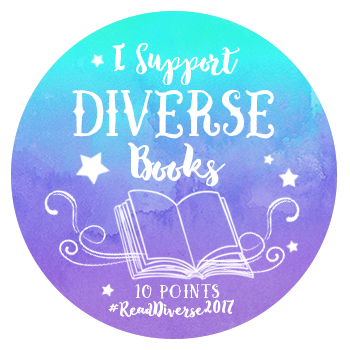 This entry was posted in Book Reviews and tagged #DAReadathon, #DiversityBingo2017, historical fiction, Nobel Prize. Bookmark the permalink. I need to read this and Night. I NEED to! !